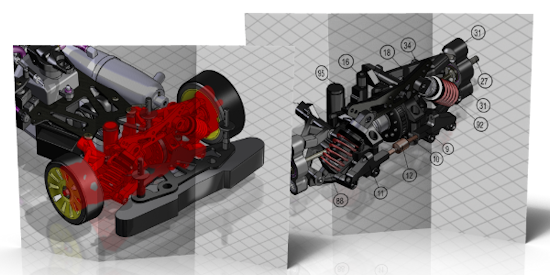 New 64-bit products increase large model capabilities and add Solid Edge import features. Allen, Texas – September 16, 2014 – Today, QuadriSpace™ announced the immediate availability of Pages3D™ 2014, Publisher3D™ 2014 and Document3D™ Suite 2014. (www.quadrispace.com/products). The updated products are now available in full 64-bit, empowering users with more robust support and performance when working with large 3D CAD files. In addition, this new release adds support for Solid Edge 3D CAD files. Consistent with previous versions of the software, SolidWorks, Autodesk Inventor, Creo, Pro/E, Rhino, SketchUp, DWF, STEP, IGES and other exchange formats are also supported. Pages3D, the QuadriSpace flagship product for creating multiple page documents from 3D CAD files, uniquely enables users to create complete printed or interactive documents from 3D CAD files using patented technology. Pages3D software enables the use of 3D data for document authoring activities such as work instructions, illustrated parts catalogs and user manuals. For interactive deliverables, Pages3D documents can be securely published to 3D PDF or shared using Reader3D. Interactive documents use lightweight 3D making it impossible for recipients of QuadriSpace documents to gain access to the original 3D CAD file. Publisher3D enables 3D models to be used to create step-by-step instructions, interactive part catalogs and customer-ready content. 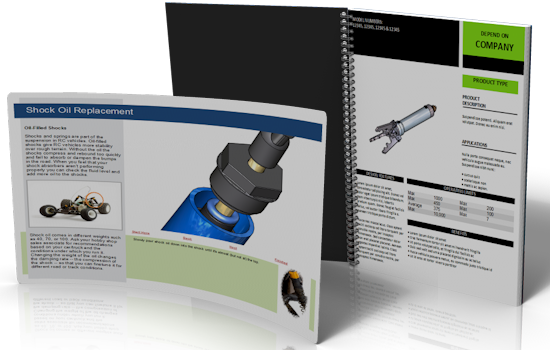 Creators also benefit from Publisher3D’s support for additional information such as descriptive text, illustrated 3D views, step-by-step procedures, exploded views with balloons and custom parts lists. Publisher3D allows users to generate standard outputs such as images, movies, PDF documents and more. In addition, advanced 3D content can be published directly to Share3D™ cloud services for interactive viewing and collaboration. Share3D is QuadriSpace’s new cloud-based distribution and collaboration service with native apps for iPad, iPhone and PC users. With 3D-based content, not simply models, the use of 3D in the cloud extends beyond engineering to downstream uses in manufacturing, marketing, sales and field service. Share3D offers a free plan that allows users to collaborate on up to 3 projects. New accounts can be created for free at www.share3d.com/accounts/new. For more information on QuadriSpace content creation products, cloud-services or collaborative apps, visit www.quadrispace.com.